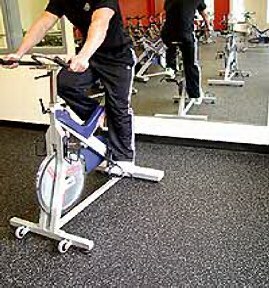 Champion Mats offer superior durability, are suitable for both interior and exterior applications and are ideal for surfacing areas that require resilience, sound absorption, spike resistance and traction. 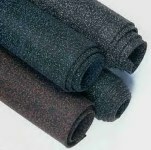 The 100% recycled rubber rolls are specially designed and manufactured for durability. They also serve as an effective buffer against acoustical vibration. Black, Blue, Blue/Grey, Green, Red, Grey, and Yellow (see examples below). The Rubber Rollers are available in a variety of colors or completely black. The colored particles are homogenously mixed throughout the entire product in a uniform 17% mixture and have no chance of wearing away. The vibrant colors are perfect for dramatic interior solutions and exterior accents.